The art of strudel making takes on a new dimension when Executive Chef Roman Paput takes Viking guests on a trip to the Budapest market to buy ingredients for his unique strudel making class. Guest enjoyed perusing the market with the chef for fresh ingredients to include in the cooking lesson, and participated in the demonstration planned and implemented that afternoon for the entire ships enjoyment in the Vilhjalm lounge. In the afternoon two guests joined Chef Paput and his sous chef for the scheduled cooking lesson, where a table filled with all the necessary ingredients was set up in advance for audience viewing in the Viking Vilhjalm Lounge, and a crowd of guests congregated to watch and learn the secrets of making authentic apple strudel. Apple strudel is considered to be the national dish of Austria along with Wiener Schnitzel and Tafelspitz. The oldest known strudel recipe is from 1697, a handwritten recipe housed at the City of Vienna Library. As a type of sweet or savoury layered pastry with a filling inside, the strudel gained popularity in the 18th century through the Hapsburg Empire (1278–1780). Austrian cuisine was formed and influenced by the cuisines of many different peoples over many centuries of the Austrian Hapsburg Empire’s expansion. Strudel is related to the Ottoman Empire’s pastry baklava, which came to Austria from Turkey via Hungarian cuisine. Strudel is most often associated with Austrian cuisine, but is also a traditional pastry in the whole area formerly belonging to the Austro-Hungarian empire. 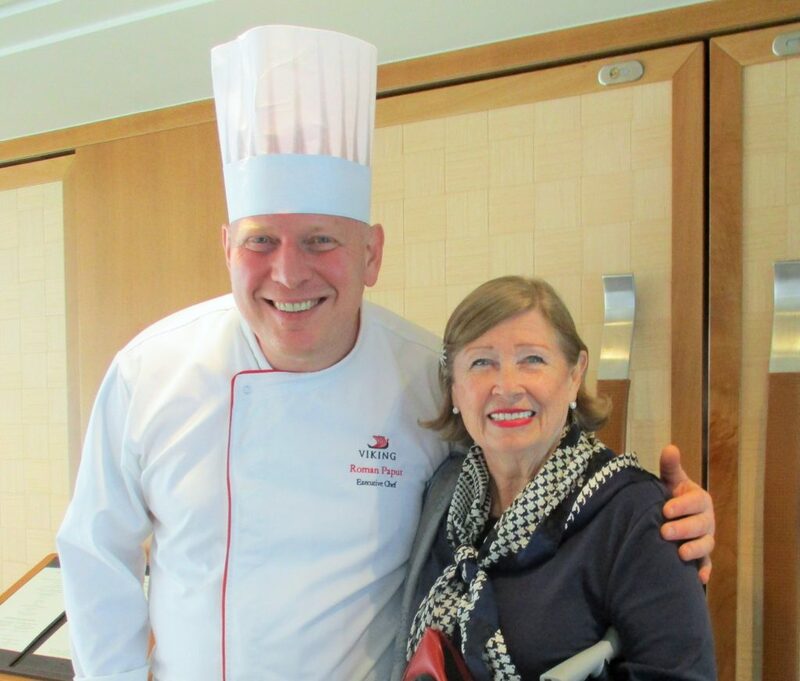 Chef Roman Paput has been working for Viking River Cruises for many years, and learned to cook from his family members as a boy. He worked in hotel restaurants while studying and developing his craft, and said he enjoys very much his time working for Viking as an Executive Chef, and appreciates the wonderful staff working with him in the galley. At dinner that evening the gorgeous strudel was served as our dessert, following an authentic Austrian dinner of Wiener Schnitzel and Tapelspitz, that was indeed worth waiting for. 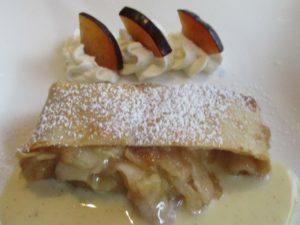 The apples were tender in the rich custard sauce and the strudel was perfectly crisp and sweet. Two of the ladies who had accompanied the chef on the strudel shopping jaunt to the market earlier that morning stopped to give him a kiss and thank him for including them in this fun and educational Viking cooking adventure. Little shopping jaunts to local markets in preparation for Chef cooking lessons are fairly common on the Viking ships, but this one was especially appreciated by everyone on the Vilhjalm because who in the world does not like Viennese apple strudel? When booking your next trip with Viking you should inquire if they will be offering one of these culinary adventures. 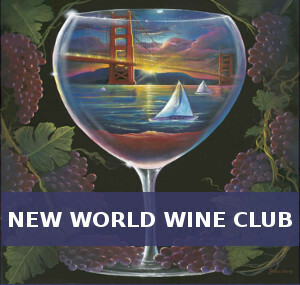 I hope to be duplicating, or trying to duplicate Chef Paput’s recipe for my friends and family in Santa Barbara, and some of the other guests I spoke with expressed their enthusiasm about doing the same. 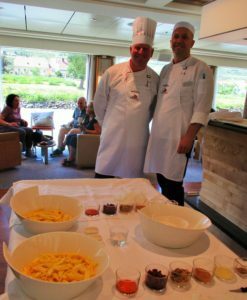 A video of this cooking demonstration created by Bonnie Carroll’s Life Bites News can be found in Bonnie Carroll’s Life Bites News (July Issue) or can be viewed on You Tube, along with a personal interview with the Chef that was done by Bonnie Carroll while the ship was cruising through the Wachau Valley. Perhaps these videos may provide some home enjoyment for you and your friends. Below you will find the recipe for Chef Paput’s Viking Apple Strudel. Guten Appetit! Making strudel dough from scratch is notoriously difficult and time consuming. Here, the chef has simplified the recipe using puff pastry so you can easily create a similar treat at home. The filling is still very traditional, and will bring back memories of cosmopolitan Vienna and sophisticated coffeehouses. Close your eyes and you may even hear a lilting Strauss waltz.